Horse-drawn wagons were certainly the transportation of choice on Front Street in 1910; automobiles had not yet caught on in a big way. This view is south, probably at about Stark or Washington Street. I can rummange through old photos for hours. I am the same way. 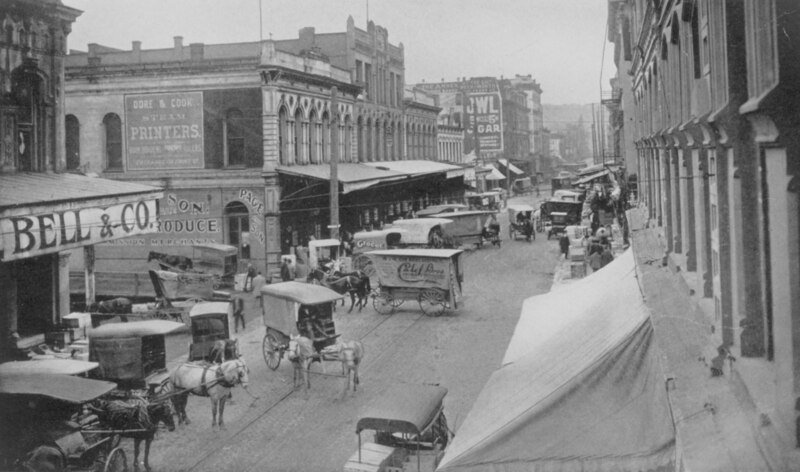 Love looking at old family photos and photos of Old Portland Oregon!